While many cameras continue to downsize thanks to the mirrorless revolution, the quality of their images keeps ramping up. Many photographers are switching over to small full-frame, APS-C and Micro Four Thirds camera systems and enjoying the incredible results these systems provide, and equally enjoying the weight savings they provide. As we gear up for a travel photography trip, what can we do to reduce our payloads without sacrificing quality? While I’m still a full framer, I’ve created a methodology that helps me travel lighter, saving my back and reaction time to photo ops on the road. No matter what camera system you use, the following should make travel photography more compact and open up more opportunities with more efficient solutions. From North Korea to Namibia, I’ve made packing a vital part of my workflow. Since much of the editorial work I do is on my own, I limit my luggage count to two. My carry-on contains my camera equipment while my checked bag transports my clothing, tripod and sometimes a small knapsack. It’s too cumbersome and too easy to lose track of a third bag when traveling solo. Dual-purpose rolling camera backpacks have had major advancements in the last couple of years, saving countless backs from the pain of vertebrae-pinching compression. 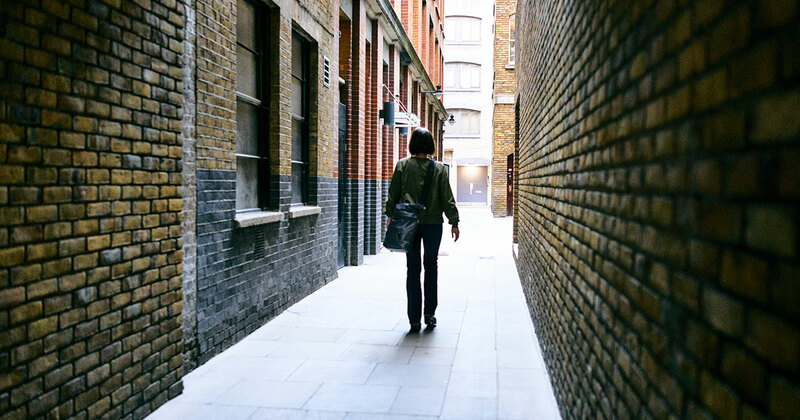 But unless you strictly work in modern cities with smooth paved roads, there are times when a backpack is a necessity. Think Tank’s Airport TakeOff complies with most U.S. domestic and international airline carry-on requirements and saves space with integrated backpack straps with shoulder harness and back panel padding. 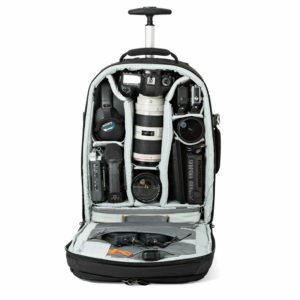 It can hold up to two standard bodies, four to six assorted lenses, including a 400mm f/2.8, and has a large front pocket that can fit a 17-inch laptop. LowePro’s Pro Runner x450 AW II convertible roller/backpack can hold up to two DSLRs, one with lens attached. 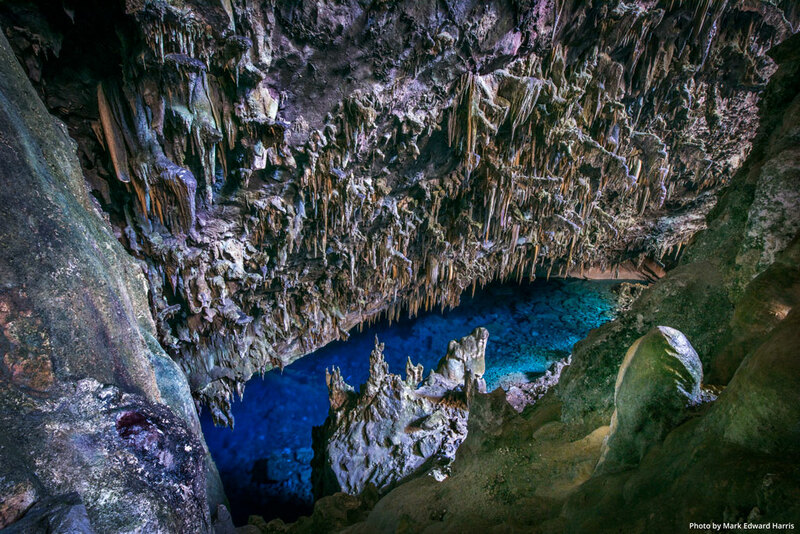 For example, I’ve packed a Canon 5D Mark III with up to 70-200mm f/2.8 or 300mm and five to six extra lenses and a speedlight as well a 15-inch laptop in one. While these bags can hold larger computers, I’ve found that the 13-inch MacBook Pro is large and powerful enough to do whatever I need to do on the road. This more demure size is not only lighter but also easier to work with when sitting in a plane or train seat. Everything gets backed up on a small external hard drive at the end of a shooting day. On the occasion that I do have to part ways with my rolling camera backpack, such as when I connect to a small commuter flight, I pull out my MacBook Pro and noise-canceling headphones and lock the bag with a TSA-approved combination lock before handing over my bag at the gate. While it’s fairly straightforward to decide which camera bodies and lenses to bring along, I take my time choosing accessories to make sure I’m getting the most out of what I put in the bag. 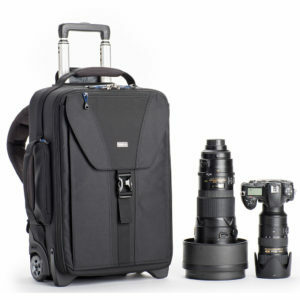 We also love the bags from Manfrotto, Tenba and Sirui as they’re designed to hold up to the rigors of travel and provide all the features that a photographer could ask for. 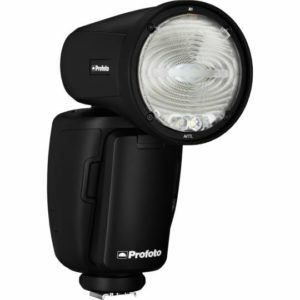 Profoto is billing its new Profoto A1 as the world’s smallest studio light. Its round head gives a soft, smooth fall-off, and, besides power versatility, offers a fast recycling time and a long-lasting exchangeable Li-ion battery. This 1.232-pound strobe can be shot on-camera or off (I prefer off utilizing the AirTTL) with the spread of light easily adjusted between wide and narrow and focused with a twist of the zoom ring on its head. To take full advantage of the system, the A1 has a dedicated set of light-shaping modifiers that can be quickly clicked on and off and stacked because of their built-in smart magnetic mount. These include Profoto’s Dome Diffuser, Bounce Card, Wide Lens, Gel Kit and Soft Bounce. 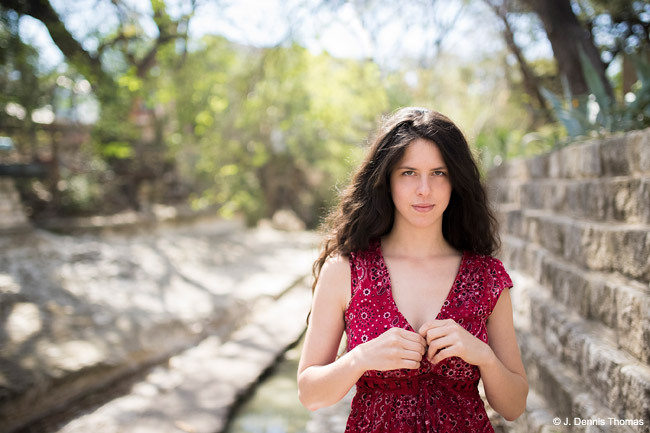 The “Air” feature can communicate with another A1 or other Profoto lights, and its HSS (High-Speed Sync) enables flash use up to a 1/8,000 of a second shutter speed, extremely helpful for doing dramatic outdoor environmental portraits. The A1’s built-in modeling light provides a clear idea of how shadows will fall as well as providing an additional light source in low-light situations. The A1 is expensive—it’ll cost the same as several standard speedlights, but it is versatile, flexible, and thanks to the modeling light—great for previsualization. For a lower cost flash, we’d recommend those from the camera manufacturers, and the gear from Flashpoint. If I’m on my own and I want to use an off-camera flash further than an arm’s distance away, it’s great to have a sandbag at the ready to keep a light stand from tipping over. 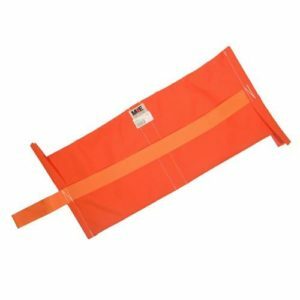 Regular sandbags aren’t an option since they are the antithesis of a weight-saving accessory, so I carry an empty bag such as the Matthews Fly-A-Way or its Matthbag that can be filled on location with rocks, gravel or sand. The Matthbag has four zippers and the Fly-A-Way a Velcro strip to seal in the filling. Tripods are an important tool but a major source of additional weight. One made out of carbon fiber is ideal for its combination of lightness and strength. When every inch counts, tripods with reverse-folding legs make the best use of limited space. 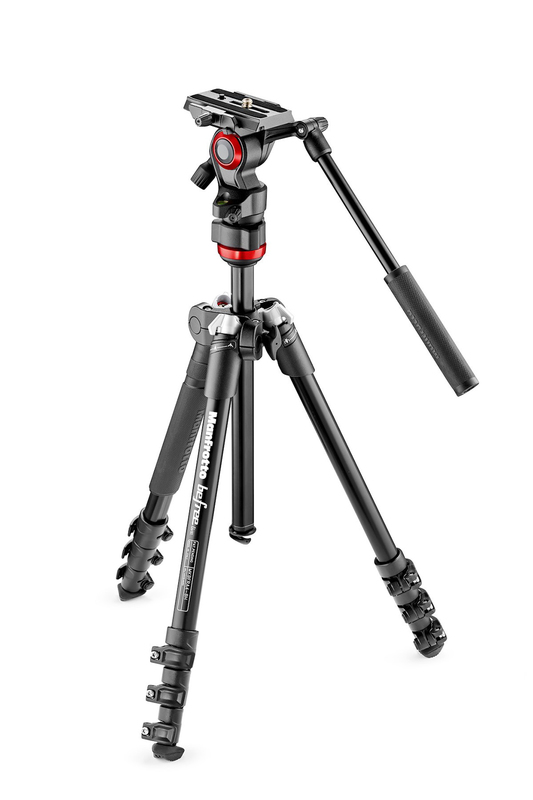 For example, the 2.43-pound Manfrotto Befree Compact Travel Carbon Fiber Tripod extends to 56.7 inches, supports 8.8 pounds and folds to only 15.75 inches. 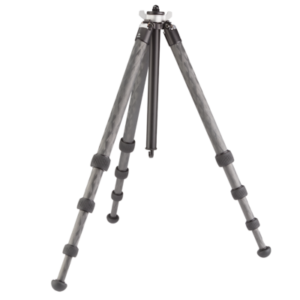 Its legs fold up and around the ballhead, a feature that helps makes this tripod so compact. Really Right Stuff’s TQC-14 tripod is engineered to be a companion to the BH-30 ballhead, supporting loads up to 25 pounds without sacrificing stability. Its built-in quick column provides an additional 11 inches for a total height of 59 inches. The 2.7-pound TQC-14 collapses down to 17.7 inches, still within the size limit to fit into most roller/backpacks when carrying fewer lenses. 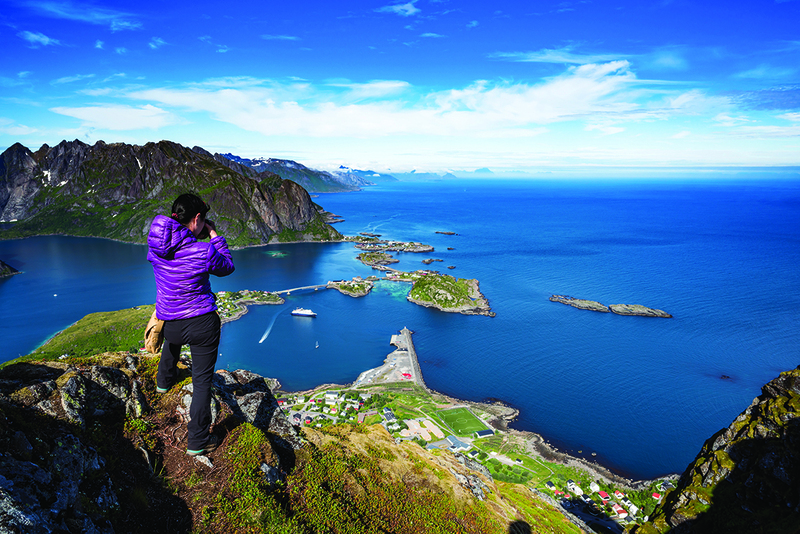 Our favorite tripod for mixed photo and video use is the Manfrotto BeFree line, particularly the BeFree Live, as it has an integrated and easy-to-adjust tripod head that makes it easy to go from a smooth video pan to a solid long exposure shoot. The tripod comes in both carbon fiber and aluminum versions. We also like Benro, because they make affordable, durable tripods, with all the features of the more expensive models. Regardless of the tripod I use, I keep dedicated plates on my camera bodies and longer lenses so I can quickly slip them into my ballhead. This keeps me from the impulse many of us have to not bother with a tripod in borderline situations when in reality the use of one will improve the final result. The digital world has allowed me to downsize my filter carrying to just a polarizer, a neutral density and two graduated neutral density filters. My B+W 77mm XS-Pro Kaesemann High Transmission Circular Polarizer MRC-Nano Filter reduces light loss down to 1-1.5 stops. For those who want to lighten their bags by not packing a macro lens, diopters such as Canon’s 77mm 250D and 500D Close-up Lenses are a quick and easy solution for close-up photography. 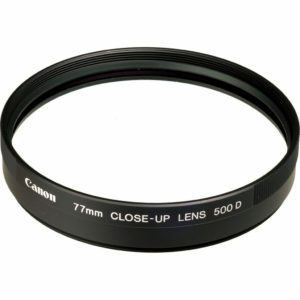 They have two achromatic elements to correct chromatic aberrations to avoid degradation on EF lenses. The 250D is designed for lenses with focal lengths from 30-135mm with the 500D geared for lenses with a focal length anywhere from 70-300mm. I’ve added a new camera to my bag for BTS (behind the scenes) snaps and video around and under water, Fujifilm’s 16.4-megapixel back-illuminated CMOS sensor FinePix XP120. 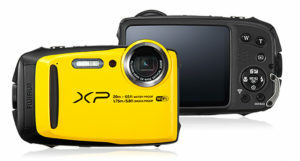 The 7-ounce camera with a 3.0-inch LCD monitor has an internal 5x optical FUJINON zoom with coverage from 28-140mm that can be doubled with Intelligent Digital Zoom technology without the major degradation that traditionally occurs with digital zooms, and it’s waterproof to a depth of 65 feet. There’s a saying in the movie world that an audience can endure a bad picture for a bit of time but not bad sound. Whenever I need to turn my DSLR into a movie-making machine, I make sure that audio doesn’t become the clip’s Achilles’ heel. That means not relying on my DSLR’s onboard mic for sound. 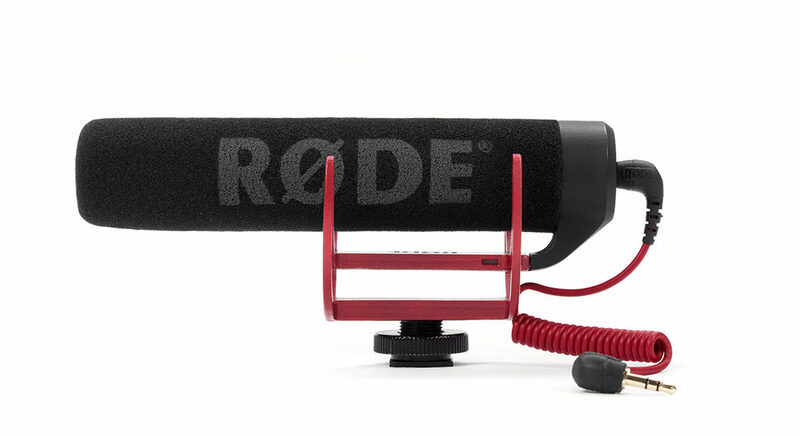 Weighing in at just over 2½ ounces, Rode’s extremely user-friendly VideoMic GO has no switches or battery to deal with, drawing a small voltage from the camera itself through the 3.5mm mini-jack output. Because of this plug-in power, there are a few cameras that do not support the VideoMic GO, including the Nikon D7000 and a number of Canon’s consumer models. For those that do accept the mic, the result, especially when using a windscreen, is clear, crisp, directional audio. The VideoMic GO’s integrated thermoplastic shock mount isolates the mic from bumps and vibrations that could interfere with sound. Photographic equipment is not the only thing that weighs travel shooters down on the road. Unless you’re a participant in a nudist camp and you exclusively shoot within its confines and travel there in your birthday suit, clothing is a necessity and makes a big difference in terms of weight and space. Ultra-breathable pants and shirts from The North Face, Patagonia, and others that are manufactured with FlashDry fabrics have accelerated moisture-wicking technology and evaporative drying power. They’re particularly well suited for assignments that involve hiking and climbing. This means packing just two pairs of pants and a couple of shirts, then washing and hanging them to dry overnight. 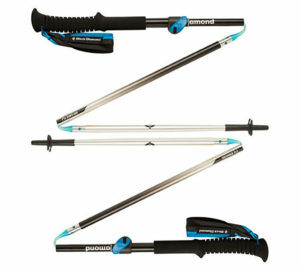 When an assignment does involve hiking, I’ll pack my Black Diamond Distance FLZ Trekking Poles, which fold into three sections with a collapsed length of 13.4 inches, with a pair weighing 15.5 ounces. 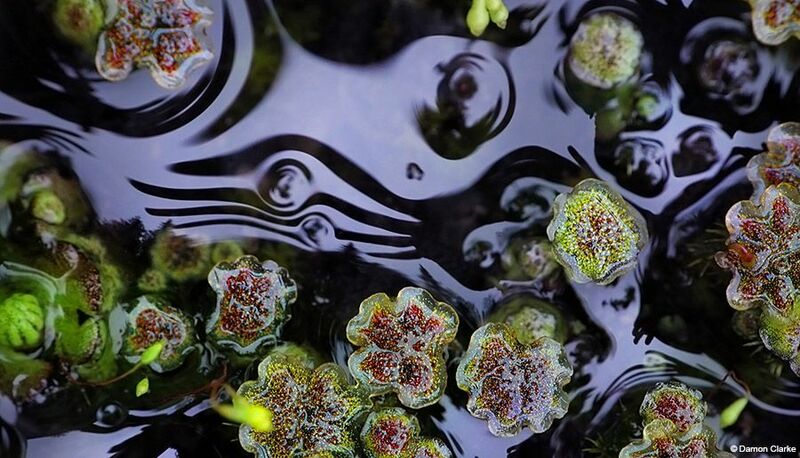 There are so many great things about nature photography. Being out in the wild is the ultimate in mindfulness. Unfortunately, flying insects seem to enjoy the great outdoors as well. To stay focused on shooting and not spraying, I’ve found donning ExOfficio’s BugsAway clothing with Insect Shield technology an excellent solution when working in “buggy” locations. The Insect Shield process is designed to prevent loss of the active ingredient Permethrin outside the system by tightly bonding to fabric fibers. Clothing retains full effective repellency through 70 launderings. What to bring and what to leave behind is a constant balancing act. Having an up-to-date equipment checklist will speed up the packing process and reduce the chances of leaving a vital piece of gear behind. When it comes to photography, as in life, it’s the little things that can make a big difference. Mark’s latest book is The Travel Photo Essay: Describing A Journey ThroughmImages (Routledge). Website: MarkEdwardHarris.com; Instagram: @MarkEdwardHarrisPhoto.